A Powerful Portable Direct Space Industrial-Grade Humidification System that Provides Fast-Evaporating 'Dry' Fog for Maximum Humidification, No Misting or Surface Wetting, No Puddles, Safe Around Electronics, with Over 12 lbs Per Hour Output Capacity, Standard 110v Power, All at a Discount Price with Free Shipping. Best for: Trucking - Sea Transportation - Produce Cold Storage - Seafood Disinfection - Meat Storage - Storage - Schools, Gyms & Classrooms - Houses - Restaurants - Hospitals - Electronics Manufacturing - Laboratories - Textile Manufacturing - Printing Rooms - Walk In Cigar Humidors & More! Disinfect/sanitize a room with any water-dissolving disinfectant, hydrogen peroxide, etc. Many portable commercial humidifiers are notorious for wetting surfaces, not providing the amount of humidity needed, requiring too much maintenance, not easy to move around, don't work at low temperatures, put white mineral dust on surfaces, or all of the above. The main problem affecting humidification is not having a consistent small droplet size so that the water evaporates quickly before reaching a surface. Even with a small droplet size, many commercial humidifiers can't maintain consistently small droplets, so some range up to 20 microns, which turn into puddles and wet surfaces. SmartFog solved all of these issues and more, creating an affordable, dependable portable commercial humidifier with no tank refilling, humification up to 99%, zero maintenance, and no white mineral dust (not ultrasonic). The secret of Smart Fog lies in the small droplet size of the water and the engineered spacing between the air and water. Smart Fog has succeeded in manipulating the droplet size to be the smallest consistent size in the industry. SmartFog's unique, advanced 'AirNet' technology keeps equal sapce between droplets, ensuring they evaporate before they can land on a surface. According to researchers the use of Smart Fog aids in the reduction of dust and air borne bacteria/viruses from the air. The Smart Fog ES100 systems can even be used to disinfect an entire room using any water soluble disinfectant. Smart Fog systems are maintenance free--nozzles don’t need to be replaced, and only a water filter change if you choose to add the optional ZeroTDS filtration system. The ES100-1 system's output is strong. Eadh unit provides over 12 pounds (1.5 gallons) of moisture per hour, even at temperatures from 30 - 150 degrees F. Best of all, the SmartFog ES100-1 is easily portable, for fast setup and quick humidification at virtually any location with power and a water source. 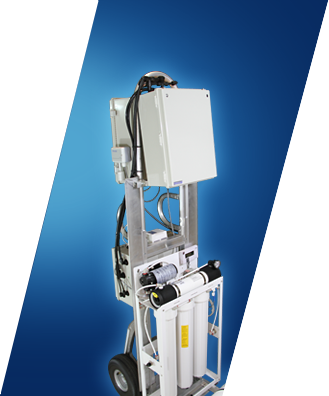 An optional zero TDS (total dissolved solids) water filtraiton system is available, if needed. If you need fast, dependable, portable spot or room humidification in a large room. at an affordable price, the SmartFog ES100 system is a perfect choice that will not wet surfaces and will accurately maintain the humidity you need. Order your SmartFog ES100-1 Portable Commercial Humidifier today and put that consistent, perfect SmartFog humdity to work for you! There are not many official online retailers of SmartFog quality humidification products and unfortunately the internet is full of scams. As a general rule of thumb, if the deal seems too good to be true, it probably is. Cheap cut rate online deals often end up being a used or refurbished unit, which do not come with SmartFog's top rated warranties. Or even worse, you may end up buying a cheap discount humidifier that doesn’t have the energy efficiency, features or warranties provided by top-rated SmartFog humidifier systems. Our innovative partnership with SmartFog allows us to ship directly from their warehouse, which cuts out the middle man and eliminates the high operating costs of traditional brick and mortar big box stores. 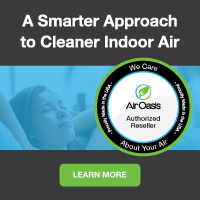 These savings get passed directly to you, allowing us to offer brand new dry air eliminating SmartFog humidifier, filters and accesories at the best possible everyday cheap discount online sales prices. And buying from us is definitely better than direct-if you buy direct, you'll have to pay shipping. Buying from us, you always get fast free ground shipping as our thanks to you for shopping with us. If you have any questions give us a call or send us an email and one of humidification experts will be happy to help. Add ZeroTDS Water Filtration System? Add Replacement Water Filter Set?